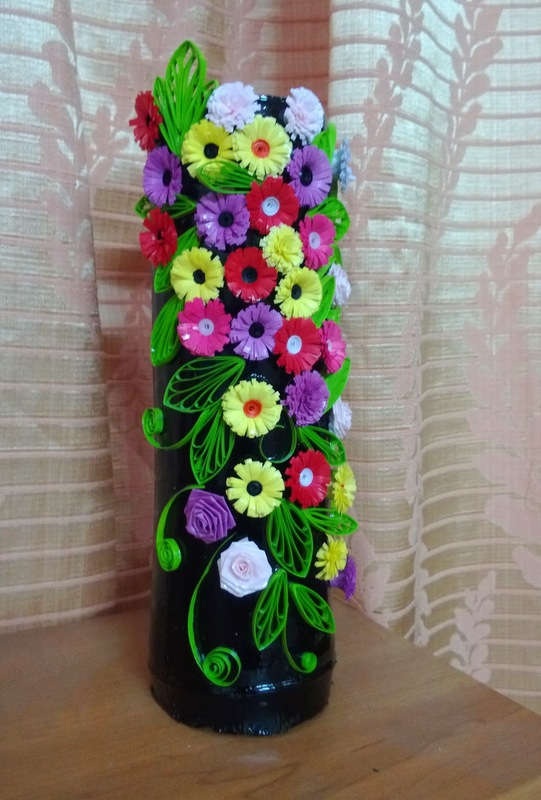 I have been a bit busy lately, of course, quilling. Here is what I did. 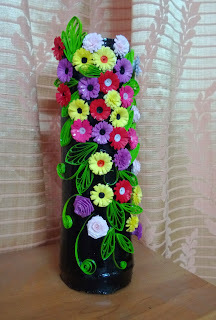 I had a piece of bamboo stem which, I felt, could be used as a Flower vase to hold dry flowers, and also it would give a natural and rustic look. I got it painted black, but didn't know how to decorate it. Once I started quilling, I thought why not decorate with quilled flowers and with black background, I could use bright colors. 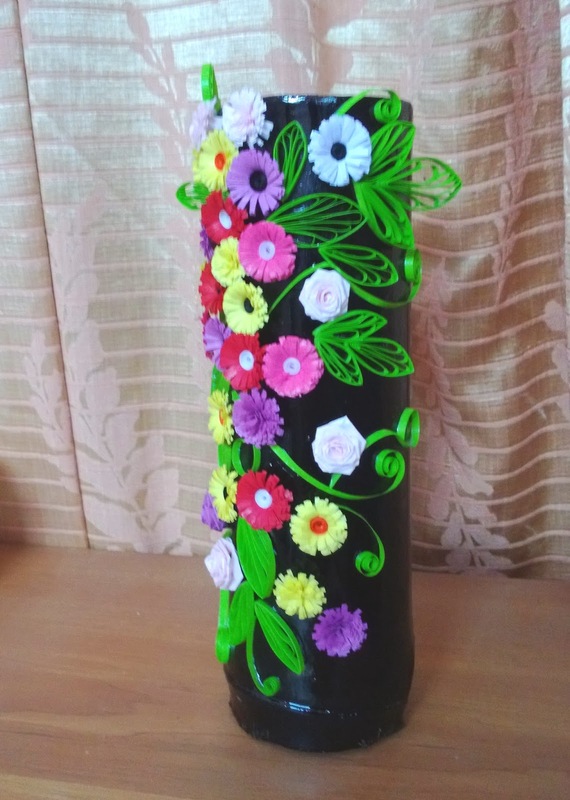 Here is the final flower vase.